Winchester 26-Piece Hybrid Rifle Cleaning Kit | BUDK.com - Knives & Swords At The Lowest Prices! This kit was designed to function as the perfect way to ensure your gun is fresh and thoroughly taken care of. 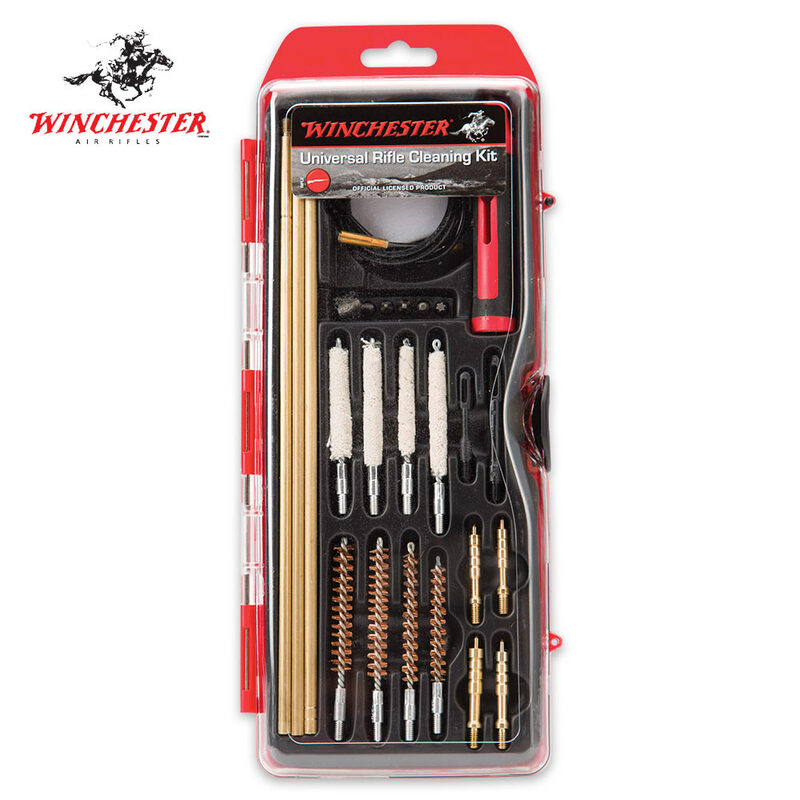 Constructed with heavy duty and trustworthy materials, this gun cleaning kit will provide years of performance. The kit can be used to clean .22 caliber and larger bore rifles. It includes a hybrid multi-function handle; 3 piece rod; 33” pull rod; .22, .243, .270/.280 and .30 caliber rifle brushes and mops; .22, .243, .270/.280 and .30 caliber jags; .22 and .30 caliber slot tips; 25 cleaning patches; and 6-piece bit set. It will accept standard threaded bore brushes and mops for cleaning .22 caliber and larger bore rifles.